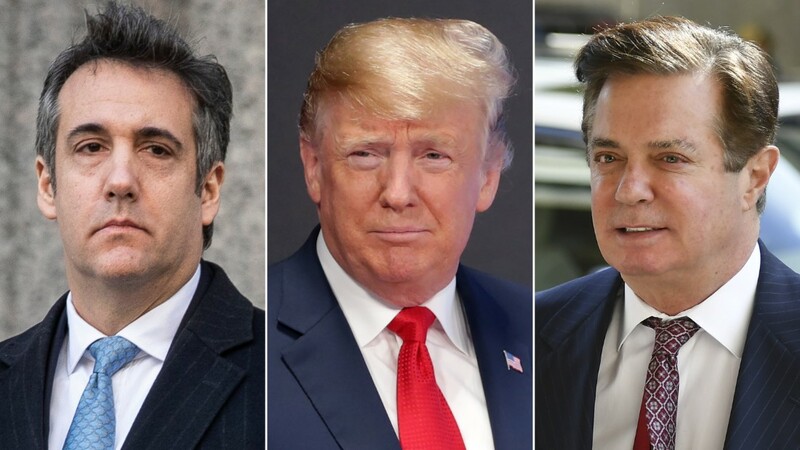 (CNN) It would be hard to think of a more damaging day for a President than one on which his former campaign chairman disappeared behind bars for years to come. But Paul Manafort’s new sentence was the least of Donald Trump’s worries Wednesday as his Russia investigation nightmare took yet another turn for the worse. A new firestorm erupted over disputed assertions that ex-acting Attorney General Matt Whitaker did not deny in a closed congressional meeting that he had spoken with President Donald Trump about a case involving Trump’s ex-lawyer Michael Cohen. 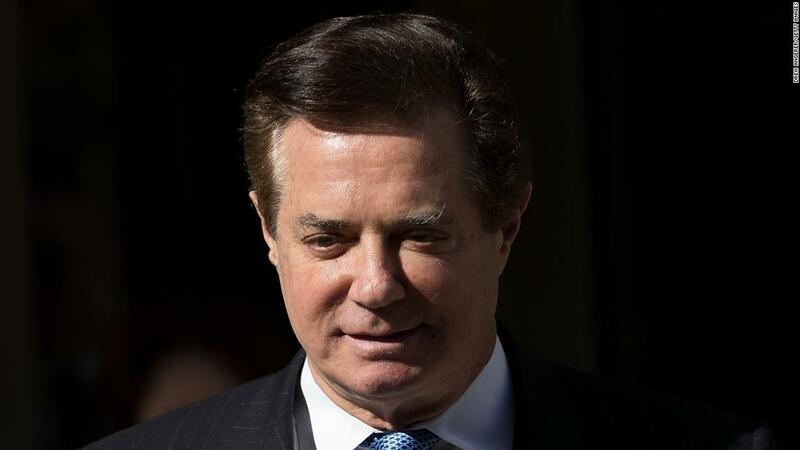 Both new angles on the Russia intrigue came on the day that a judge added to the prison sentence of Manafort, Trump’s former campaign chairman, after he was snared in Mueller’s investigation. He faces a total of 7.5 years in prison. For the second time in a week, a Manafort attorney emerged from a sentencing hearing and appeared to twist a judge’s words in a way that raised suspicions he was bolstering Trump’s claims that there was “no collusion” in return for a pardon for his client. Trump did little to stem speculation he might act in such a manner by saying he felt “very badly” for Manafort, while making the barely believable assertion that the thought of springing Manafort from jail after his convictions for tax and financial fraud, obstruction and witness tampering had never entered his mind. As is often the case in the Russia investigation and associated cases, vital details remain unknown and there is a sense that the information available to the public is only scratching the surface of what might really have happened. Still, a day of frenetic activity and foreboding claims and counterclaims raised new questions about the appropriateness of the President’s past behavior and whether he will try to absolve his former associates with his pardon power — one of the most compelling questions in Washington in early 2019. Wednesday’s developments underscored once more the peril the President potentially faces from the new investigative powers of the freshly elected Democratic-led House. The politics raging around the investigations also suggested yet again how hard it will be for the nation to eventually coalesce around an outcome that offers a sense of closure after the uproar of the 2016 election. The new developments could also prompt a discussion of whether Mueller has more work to do at a moment when he had appeared to be close to filing the report on his investigation with the attorney general. House Judiciary Chairman Jerrold Nadler demonstrated the Democrats’ capacity to break open new seams of the Russia controversy when he emerged from a closed-door meeting with Whitaker to talk to reporters. The issue could be significant because it raises the possibility that the President spoke to the then-top Justice Department official about a case linked to his personal and business affairs involving his former fixer. At best, such a conversation would appear inappropriate and unethical since the President is the country’s top law enforcement officer. At worst it could again raise suggestions that Trump may have obstructed justice, in addition to possible past examples of such behavior being investigated by Mueller. Nadler also said Whitaker had indicated that he was involved in conversations about the recusal of Geoffrey Berman, the US attorney for the Southern District of New York, in the Cohen case. 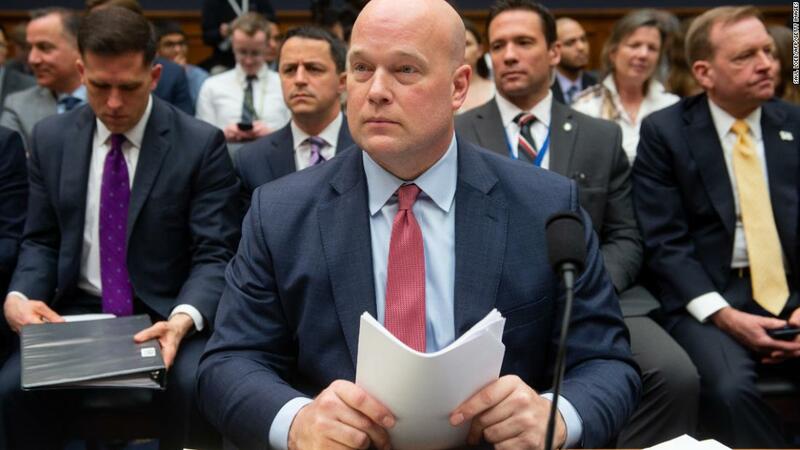 The former acting attorney general also said he was involved in discussions over whether Berman’s prosecutors had gone too far in a campaign finance case in which Trump was effectively referred to as an unindicted co-conspirator. It would not be unusual for a President to discuss personnel matters with an attorney general or even specific cases. But if the officials in question were involved in investigations of the commander in chief, it would look highly suspicious. 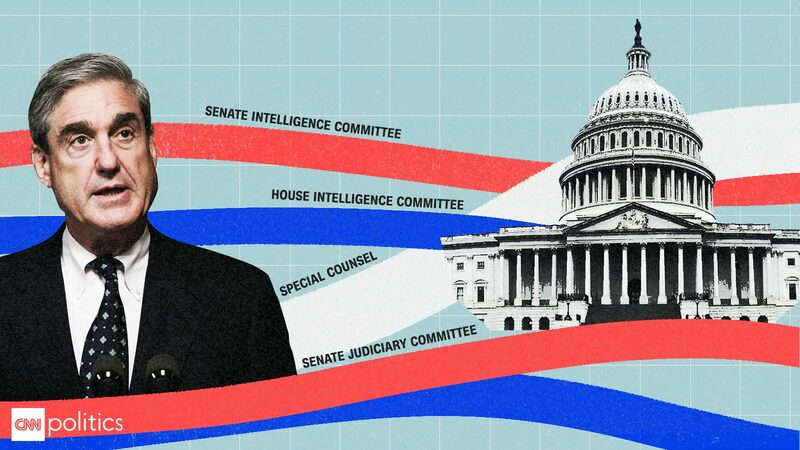 Like most of the developments in the Russia investigation, the new revelations were difficult to fit into a wider picture since the top Republican on the committee provided a contrary version of events in the meetingwith Whitaker. 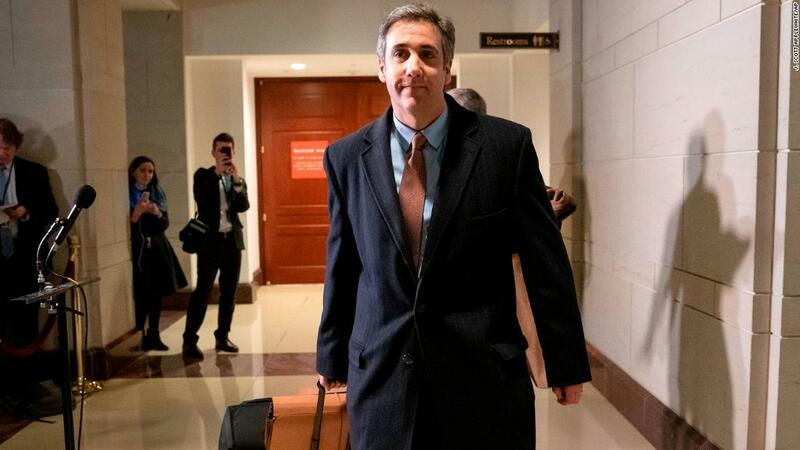 There was another case Wednesday of conflicting narratives involving Cohen — who is headed to jail in May for offenses including lying to Congress. Two emails provided to Congress by the President’s former attorney reopened the controversy over his claims that Trump had dangled a pardon — an accusation that the President and his allies have vigorously denied. An attorney who said he had been speaking with Trump’s lawyer Rudy Giuliani reassured Cohen in an April 2018 email that Cohen could “sleep well tonight” because he had “friends in high places.” CNN’s Gloria Borger reported. That and another email obtained by CNN and dated the same day do not specifically mention a pardon. The attorney who wrote them, Robert Costello, told CNN that Cohen’s interpretation of events is “utter nonsense.” Costello said Cohen had asked him to raise the issue of a pardon with Giuliani. A source with knowledge of Cohen’s thinking at the time disputes Costello’s version of events and says it was Costello who was pushing his relationship with Giuliani. Another source familiar with the emails said Trump’s legal team had been trying to keep Cohen in the fold as a way to keep him quiet, hinting that a pardon could be in the mix at some point. Before she sentenced Manafort in a hearing in Washington on Wednesday, Judge Amy Berman Jackson took pains to try to ensure the substance of the case could not be willfully misinterpreted by anyone outside the courtroom — perhaps even the President. Trump had seized on out-of-context comments emerging from Manafort’s case in Virginia last week to claim that the judge had effectively absolved his 2016 campaign of colluding with Russia’s election interference effort. Jackson clearly said the question of collusion was “not resolved” in this case, “one way or another,” and was part of an ongoing investigation. Manafort’s lawyer Kevin Downing emerged after sentencing to voice a message that could have been written by Trump himself and was widely seen as a direct appeal to Trump on behalf of his aging client. The sense that the Manafort saga is one of the most politicized in recent memory deepened when Manhattan’s district attorney — shortly after Jackson handed down her sentence — unveiled new state charges against Manafort including mortgage fraud, falsifying business records and conspiracy. Though the indictment was exhaustive, the move has political implications since it could be interpreted as a warning to Trump that if he pardons Manafort for his federal convictions, the ex-lobbyist could still face years in jail on state charges that are beyond the President’s reach. Several leading Democrats also left the impression that the judicial process — which resulted in two credible cases against Manafort in separate jurisdictions — risked being tainted by political considerations. Commenting on Manafort’s sentence of 47 months in Virginia, which was below federal guidelines, House Intelligence Chairman Adam Schiff argued that “those who are well represented get one kind of sentence, and those who are not get a different kind of sentence.” The California Democrat spoke before Jackson delivered her verdict. After Manafort’s second sentence, which could see the almost 70-year-old spend most of the rest of his life behind bars, Sen. Cory Booker, who’s running for president, was asked by CNN’s Manu Raju whether it was sufficient. “No,” the New Jersey Democrat said.